NANOMOL (ICMAB-CSIC), a research group member of ICTS “NANBIOSIS”, more specifically of the Biomaterial Processing and Nanostructuring Unit (U6), announced today the launch of Nano4Derm, a research project in collaboration with Almirall, S.A and Leitat Technology Center, focused in nanomedicine applied to treat dermatological diseases. Within the framework of this research project, new innovative formulations containing nanoencapsulated active ingredients will be developed for the topical treatment of inflammatory skin conditions, such as Acne and Psoriasis. The experimental study of the mechanical properties of biological tissues is of vital importance. Thorough research into themechanical response of biomaterials is the basis for the creation ofmodels which can accurately reproduce the mechanical behavior ofsuch materials. Adequate mechanical characterization of tissue materials is of paramount interest to the clinical simulations, diagnostic and tissue engineering fields – where the tissue structure, in contrast to classical mechanics application fields, is just simply a biological tissue. In order to obtain their material properties, classical engineering testing techniques have been applied to biologicalmaterials. To reproduce the mechanical behavior of these kinds ofmaterial, many constitutive models have been proposed for softtissues (. In some cases, the validation of these models basedon only uniaxial test data is inappropriate because biological andbiomaterial membranes generally develop multiaxial stress statesduring real-life loading conditions.Although a large number of experiments have been conductedover the years on measuring the structural and functional properties of biological tissues, the standardization of such measurementsand the interpretation of results are difficult to establish. The geometry of the sample, the method of gripping the sample edges andthe method used to determine the strain may have profound effectson any measured mechanical properties since they directly influence how the load is transferred to the membrane. In typical (hard) engineering materials like metals and composites, strain may be measuredat any instance during the mechanical test. Some techniques require a close contact with the samplesduring the test. The use of extensometers attached directly (glued with cyanoacrylateadhesives, for instance) to the gage section of the test specimen, and strain gages thatare mounted directly to the specimen. Sincestrain gages have knife edges to define the exact points of contact with the specimenthey are also incompatible with soft tissues.Imaging techniques such as video extensometry or digital image correlation may be an alternative to the contact methods. Digitalimage correlation (DIC) is based on a process called imagematching. It is possible to use this technique to measure surface displacement and buildup full field 2D and 3D deformation vector fields and in-plane strain maps. It requiresa set of markings, known as speckle, on the analyzed surface(s).Video extensometers performing principle is based on tracking i.e., on following theposition of a given number of markings or regions of interest (ROI). For the particular case of tension tests (uniaxial or biaxial), the physical quantitiesdirectly measurable are the load, F and the elongation, l.These quantities are normalizedto account for the test specimen’sgeometry. 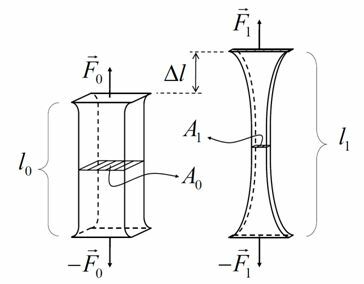 The normalizedengineering parameters arethe engineering stress, σ and engineering strain or stretch λ. Engineeringstress is the ratio between theload F and the sample’s crosssection i.e., σ = F/A. Engineeringstrain is given by=l/lo and engineering stretch λ=1+. Creep and relaxation tests are sometimes performed to determine the viscoelastic properties ofsoft tissues; specimen deformation is measured under a constant force in creep testing, whereasin relaxation tests, change in load is determined under constant specimen length. In these tests,stress (= load divided by undeformed specimen cross-sectional area) and strain (= change inspecimen length divided by reference length) are commonly used to represent the data. 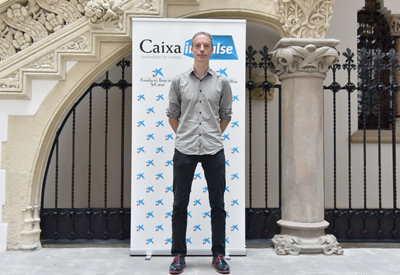 Mateu Pla Roca, Scientific Coordinator of Unit 7 of NANBIOSIS /IBEC Core Facilities has won CaixaImpulse funding for his project “3D bioprinted array tissue-like cores: tissue-like controls for cancer diagnostics” (3DBIOcores), which will be carried out in collaboration with Antoni Martinez, head of the histopathology service at Hospital Clinic. CaixaImpulse programme aims to promote technology transfer in science. The project 3DBIOcores will take advantage of 3D bioprinting to create quality control samples that assure and improve cancer diagnostics. Usually, diagnosis is done by histopathology – the microscopic examination of tissues – and then the biomarkers that are found are quantified. However, histological techniques face some degree of variability that can lead to misinterpretation, and for this reason, such tests require quality control samples to be processed side-by-side with patient samples to verify the final diagnosis. Currently, hospitals use surplus human tissue which is known to express the required biomarkers as quality control samples, but these are scarce and non-homogeneous, and their use raises ethical issues. Mateu’s project proposes 3DBIOcores as a new source of these essential controls. Taking advantage of 3D bioprinting technology, tissue-like structures containing cell lines with relevant cancer biomarkers will be produced and used as a new source of control samples. “3DBIOcores will be a real innovation in histopathology analysis, with the potential to have an enormous impact on cancer diagnosis based on the histopathological analysis of biopsies, improving precision in cancer treatment and reducing diagnostic errors,” says Mateu. Researchers from Unit 6 of NANBIOSIS, -ICMAB (CSIC)/CIBER-BBN-, in collaboration with others from the Universities of Liège, Mons, Grenoble-Alpes, Parma, Augusburg, Girona and CNR-IOA (SISSA) have published in the journal Nature (G. D’Avino et al., Nature, 547, E9-E10, 2017) an article questioning the presence of ferroelectricity at room temperature in organic charge transfer crystals, generated by supramolecular techniques, previously published in the same journal (Tayi et al, Nature, 488, 485-489, 2012), by a team led by Profs. J. Fraser Stoddart (Nobel Prize for Chemistry 2016) and Samuel I. Stupp of the University of Northwestern. The XI International Workshop on Sensors and Molecular Recognition will take place on 6 and 7 July 2017 at the Polytechnic University of Valencia. Scientists of the unit 26 of NANBIOSIS will present the results of the research carried on together with researchers from the Universitat Politècnica de València, CNIO, CIBER-BBN and the University of Cambridge: an innovative system that allows the detection of senescent cells in vivo and without damaging the tissue. The main objective of cellular senescence is to prevent the proliferation of damaged cells and, at the same time, to trigger tissue repair. However, when the damage persists, or during aging, the tissue repair process is inefficient and the senescent cells tend to accumulate. This accumulation of senescent cells in the tissues affects the tissue functions and accelerates the aging. “Elimination of senescent cells has been shown to improve a variety of diseases associated with aging, reverses degenerative processes and extends longevity. Therefore, the strategies to detect and eliminate senescent cells have gained great interest in recent years”, explains Manuel Serrano, principal investigator of the CNIO Tumor Suppression Group. “Chemically speaking, the sensor is composed of a fluorophore bound to a galactose. Senescent cells have the differential property of breaking galactose bonds very efficiently. 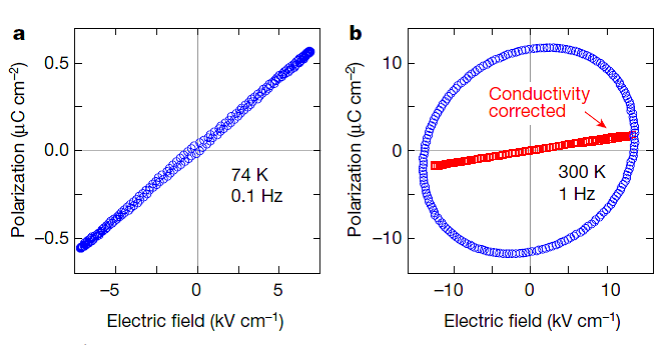 When the sensor is internalized in a senescent cell this link is broken and this results in a great increase in the fluorescence of the sensor, which is the signal that we detect excited with a laser. However, when the sensor is internalized in a normal (non-senescent) cell, no signal is observed, ” says Ramón Martínez-Máñez, Scientific Director of Unit 26 of NANBIOSIS, CIBER-BBN and IDM-UPV Institute. The sensor has properties that make it possible to be excited by absorbing two photons, which causes that the energy of the laser used to visualize the tissues is much smaller than the conventional sensors. In addition, two-photon techniques decrease tissue damage and have greater penetrability. The probe, that has been characterized in unit 26 of NANBIOSIS is potentially applicable to other models of senescence. Different research groups have already begun to test the probe with its biological models. Last week, Jesús Izco, coordinator of NANBIOSIS, presented to CIBER groups the capabilities of NANBIOSIS and the opportunities for collaboration with the ICTS. From these meetings emerged diverse expressions of interest on the part of the attending researchers. On June 30, Jesús Izco was invited to present NANBIOSIS in the Annual Scientific Conference of CIBERES. He explained several investigations that are currently being developed in NANBIOSIS and can be applied in the diagnosis and therapy of respiratory diseases, such as the development of physical devices and tests that allow the detection of biomarkers, new protein carriers in the format of nanoparticles capable of recognizing cell receptors and being endocytosed in order to deliver drugs or toxins in target tissues, or non-viral vectors based on niosomes for pulmonary gene therapy (eg cystic fibrosis) by inhalation. Also, on June 28, Dr. Izco participated in a meeting at the Carlos III Health Institute (Madrid) with the working group on lung cancer of CIBERONC about respiratory tract tumors. 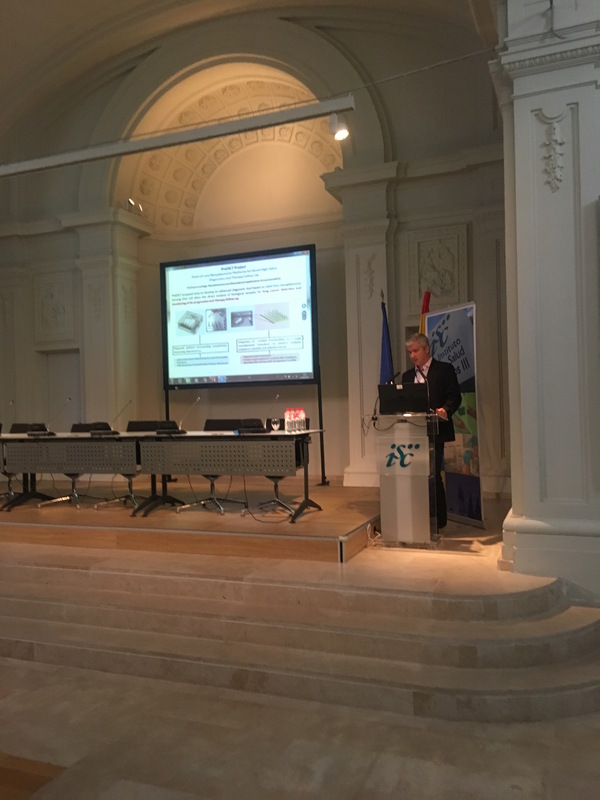 Jesús Izco presented both examples of the projects currently under development in the NANBIOSIS units with application to the detection and monitoring of lung cancer, such as PreDICT, and examples of results already published in this scientific area.